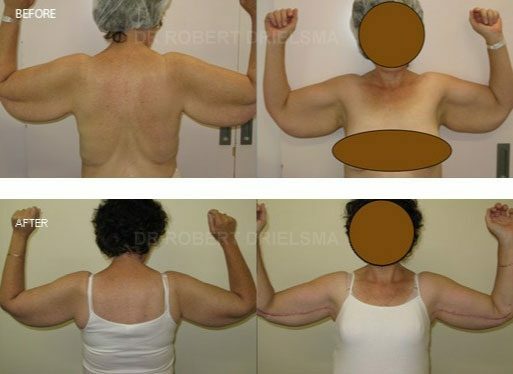 Below are some examples of Arm Lift Before and After Photos by Dr Robert Drielsma, one of Sydney’s leading specialist breast surgeons. Arm Lift procedures from Sydney by Dr Robert Drielsma. An arm lift or brachioplasty is a body contouring procedure designed to deal with loose and sagging skin of the arms. Modern brachioplasty practiced by Dr Drielsma for over 25 years involves a combination of radical liposuction with skin only excision and tightening. 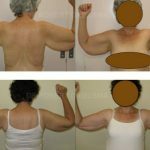 More examples of Arm Lift Before and After Photos are available at our clinic. These can be viewed during your consultation as some previous patients prefer we show their before and after images in our clinic.